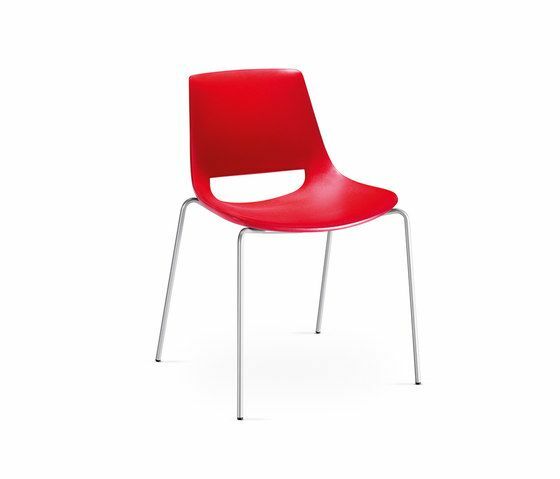 Stackable chair with 4 leg frame base, in chromed or painted stainless steel. The shell is available in polyethylene or upholstered in leather, faux leather, fabric or customer’s fabric. Shell is available also fitted with armrest. When combined with a painted frame, it is suitable for outdoor use.